Bath time can be fun time and the baby bloom bath makes a wonderful and incredibly adorable gift for a newborn. Everyone will want one. Check out the ideas now. Made from soft, cuddly materials, Blooming Bath’s petals hug any sink to create an adorable, safe, fun and convenient bath time experience for your most precious possession. 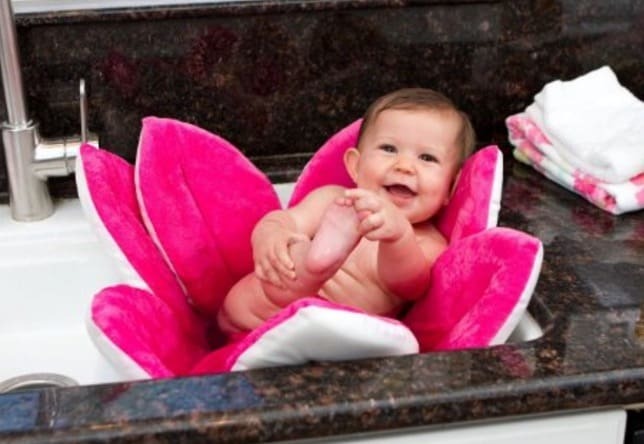 Blooming Baths plush materials cradle and cushion your baby like no other baby tub can. Forget about those plastic baby bath tubs or bath seats that are uncomfortable and don’t cradle your child. It’s not just for babies either. This is what Alaina had to say. 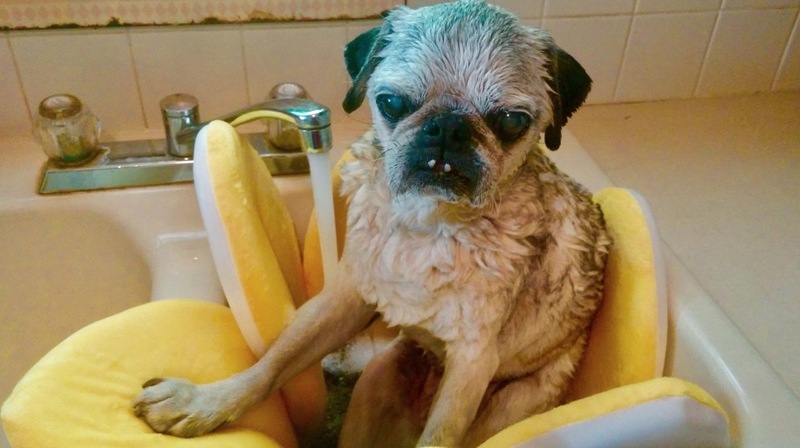 “I saw this Baby Blooming Bath and immediately thought of my 18+ year old Pug. He loves baths but because he’s an older dog he slips a lot when I bathe him so I have to hold him with one arm and bathe him with the other. 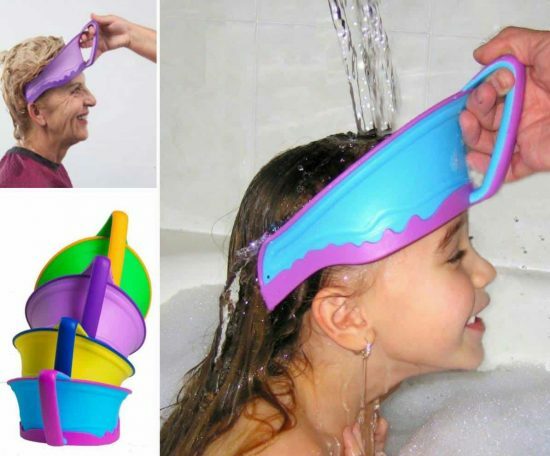 The Baby Blooming Bath gets rave reviews on Amazon with many people literally raving about it. See what Kristin has to say below. 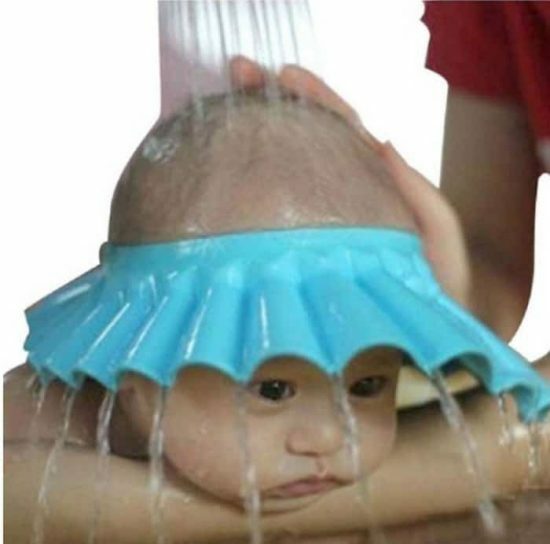 This is my #1 recommended product for babies! I’ve always thought baby tubs/slings were stupid because they outgrow them fast and they’re cumbersome to store. This solves both problems! Our laundry room is right off of the kitchen, so I’d throw it in the dryer when we were finished. I then used a binder clip to hang it from a command hook on the side of the washing machine. Easy & convenient. Now at 6 months, she’s sitting independently so I just sit her on the flower. You’d think it would slide but it doesn’t! It soaks up SO much water that it’s heavy by itself, but then adding her weight makes it stay perfectly in place. Even as she wobbles and splashes and struggles some to stay upright, it doesn’t budge. I throw mine in the washer and dryer. It’s held up flawlessly. This is well worth the money, and doesn’t annoy me like a $30 plastic tub that lasts two months. I’ll be using this thing for years. This Li’l Rinser Splashguard is a brilliant idea. Your little one might have issues with water on their face or even ear infections that you want to keep water away from. It is another very popular choice and again, gets great reviews. You can check out the details on Amazon here.